About a week ago it rained pretty heavily. 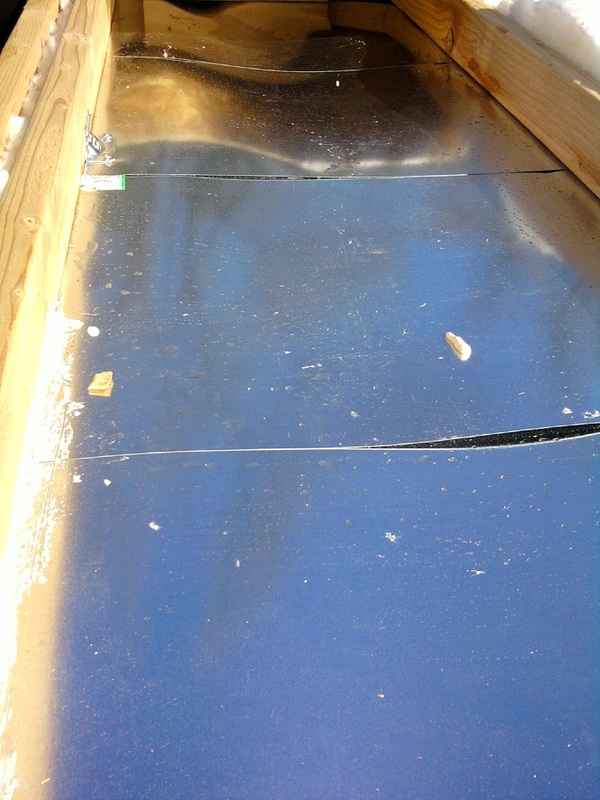 I had the trailer with the floor on it covered in painter’s plastic with logs on top to hold it down. Turned out, a pool of water formed where the open porch was and it pulled the logs off and exposed a section of the floor to the rain. 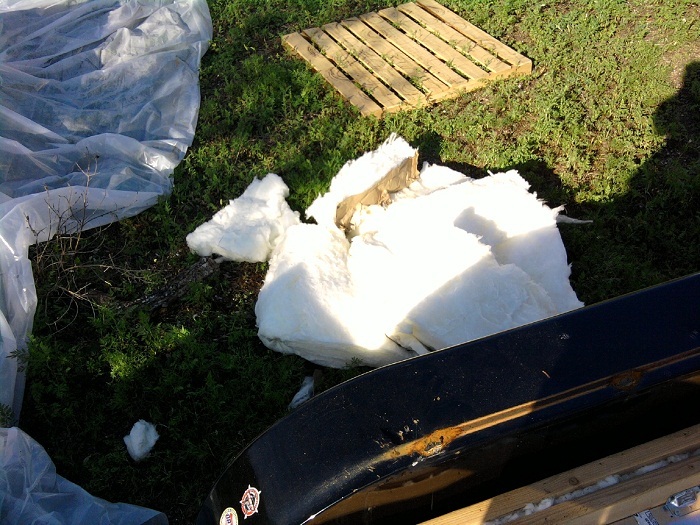 Needless to say, some water got under the OSB and into the insulation. To fix it, I took half the OSB off and replaced it with new sheets. 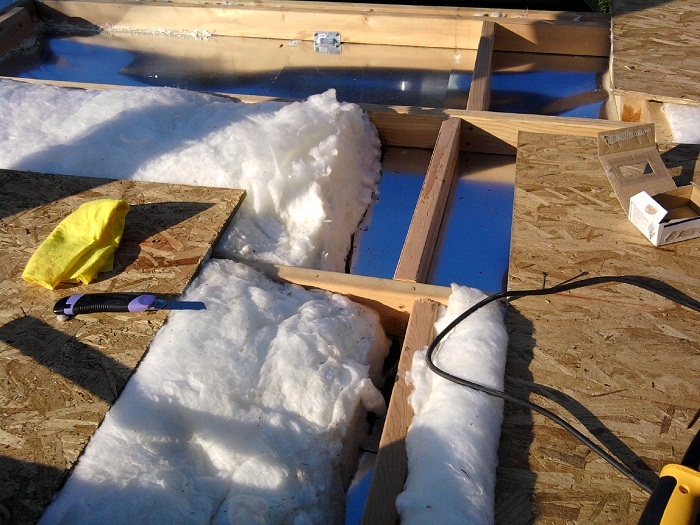 I cut the wet insulation out, dried out the metal underneath and put fresh insulation down. It was all good as new. It was supposed to rain yesterday too so I went and got a whole big tarp with tie downs that kept the water out. There were even large pools of water on top today but nothing underneath got wet. This entry was posted in Building Techniques and tagged insulation, rain, water damage, weather. Bookmark the permalink. That’s too bad. I hate having to repeat steps of completed work. I hope you get the shell finished before more bad weather. I ended up getting a huge tarp that I covered the whole frame with up until the roof was done. It was a pain to put on and take off once the OSB roof sheathing was on. Fortunately, I finished the roof not to much later. I’d strongly consider building under a shelter if at all possible in the future.